New 300mm CS Subwoofer Generation — This quality-built woofer offers double the power handing of the previous generation: Stunning 250/1000 W (RMS/peak). Polypropylene Woofer Cone — This lightweight and popular cone material is used to ensure maximum woofer efficiency. High Power — 12mm Linear one-way Xmax and dual 1100g magnets make this subwoofer a great choice for high-output applications. With impressive 1000W peak power handling, they outperform the previous generation by a factor of two. Progressive Spider — This subwoofer features a progressive spider, which provides better control at excursion limits than a linear spider. The benefit is reduced distortion at high output levels. 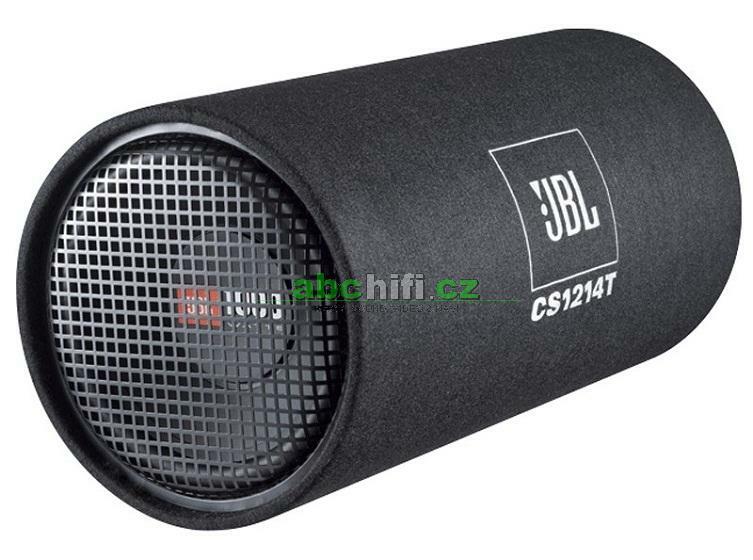 Clean Design — Stitched-in JBL® logo on top of the enclosure. Powerful Bass — The bass reflex tube exhibits a high efficiency and reproduces powerful bass, even in combination with small amplifiers.